Morning Constitutional: Can Michigan Repeat as Division Champs? Today’s Topic: Can Michigan Repeat as Division Champs? Today is Monday and whenever possible around here we like to look to the state up north on Mondays. We haven’t yet done it with our early morning time of reflection here, so now is a good opportunity to remedy that. Some of you might be a bit confused by the mention of Michigan repeating as division champs, but in case you weren’t aware, they were technically co-champs with Ohio State. No, they didn’t go to the Big Ten Championship Game, but that doesn’t mean they didn’t claim a portion of a division. The Big Ten likes to hand out trophies and nobody turns them down. That’s how Urban Meyer finished his Ohio State career with seven Big Ten East crowns, but only four Big Ten Championship Game appearances. So can Jim Harbaugh and his Wolverines add another East Division trophy next season? The first place you need to look is the schedule. There are two road games of concern, as Michigan heads to Wisconsin and Penn State. Home games against Notre Dame and Ohio State are the other games to be wary of, but only one will matter in the standings. If you’re thinking Michigan State has a shot, you’re wrong. They have no chance against Michigan this season. No chance. None. Zip. None of those games are unwinnable and the road schedule sets up as well as a team could hope. 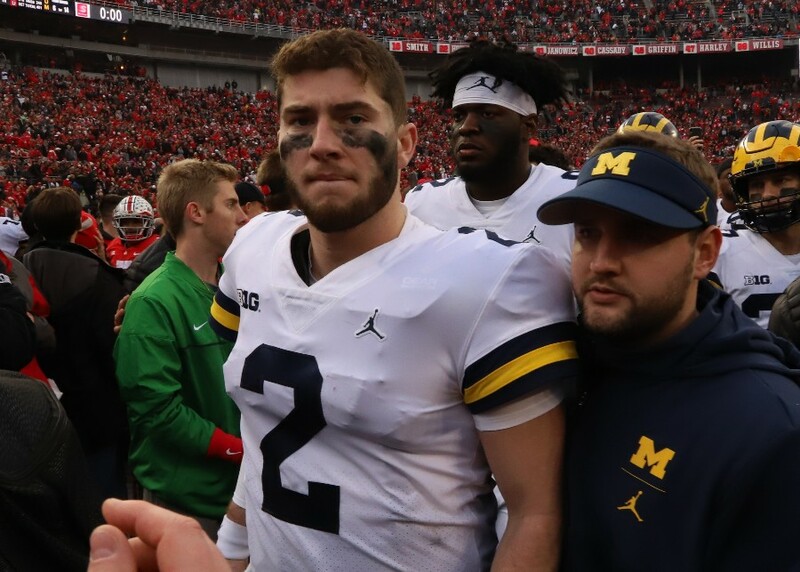 Offensively, Michigan will really only be replacing running back Karan Higdon, and they’ll need to find a second offensive tackle. They add former Alabama assistant coach Josh Gattis as offensive coordinator. He will have some very talented skill players to work with. Defensively, however, there could be an issue. Yes, saying “there could be an issue” for a Don Brown defense is usually a foolish endeavor, but I’m okay with that. Michigan will have to replace defensive ends Rashan Gary, Chase Winovich, All-American middle linebacker Devin Bush, cornerback David Long, and safety Tyree Kinnel. Oh, and defensive assistants Greg Mattison and Al Washington, who are now Ryan Day assistants. 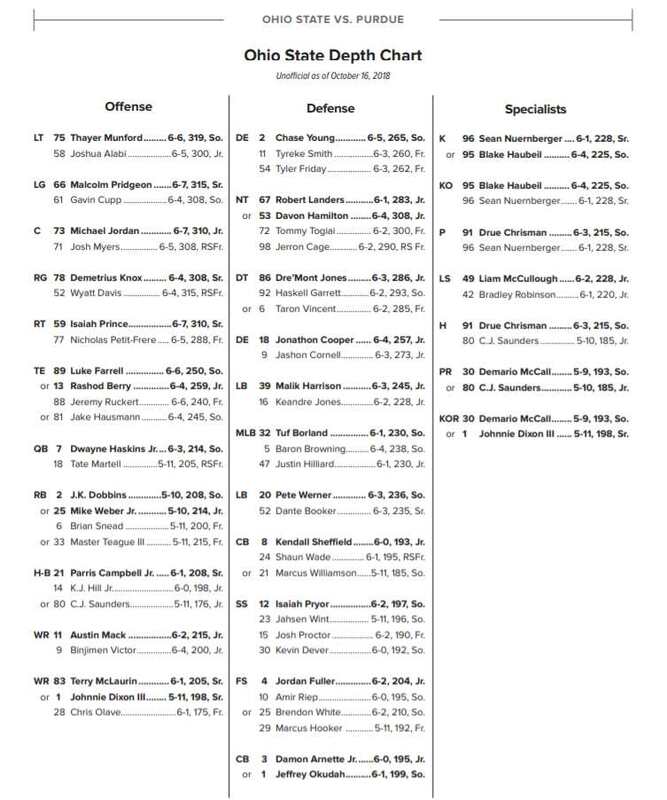 Having Don Brown back is the biggest key, but Ohio State showed the world that as long as you have the best passer in the nation, NFL wide receivers, and an offensive line that picks up every pass rush flawlessly, the Michigan defense is easily solvable. The talent on defense takes a drop from where the Wolverines were the last few seasons, but a more prolific offense can even things out. A repeat as division champs will also be determined by what happens with a few other teams, namely Michigan State, Penn State, and Ohio State. All three of those teams have some issues, as do the Wolverines. Because of the numerous question marks among all of these teams, Michigan very well could repeat as division champs. In fact, given the unrest in the division, it will be a disappointment if they don’t. TTUN winning the BTE????!!! I would like some of what you’re drinking. I wonder why if Michigan shouldn’t be favored to win the Natty and then challenge the Pat’s for best football team on the planet. Thoughts Gerd? The B1G East is solely’s OSU’s to lose. To me the division was a bit over rated. Btw, How did the B1G East do in Bowl games? MI’s D did not face a top 30 pass O the entire year and should Day continue this high octane O, MI seems two decades behind OSU, no matter if their O becomes more prolific or not. At WI, IA, at PSU, ND, MSU and OSU, I would lean toward another at least 3 year loss season for MI and for JH to be officially on the hot seat. I was just pointing out the difficult/losable games, but I see the confusion. I added a line to fix it. There are a bunch of unhappy sisters up there (or maybe not).